Another strong brand – Diverse – joins the Galeria Chełm shopping center, a mutual project of Acteeum and Equilis. Opening its store with an area 228 sqm this popular clothing brand enriches the comprehensive offer of the first shopping center in Chełm. 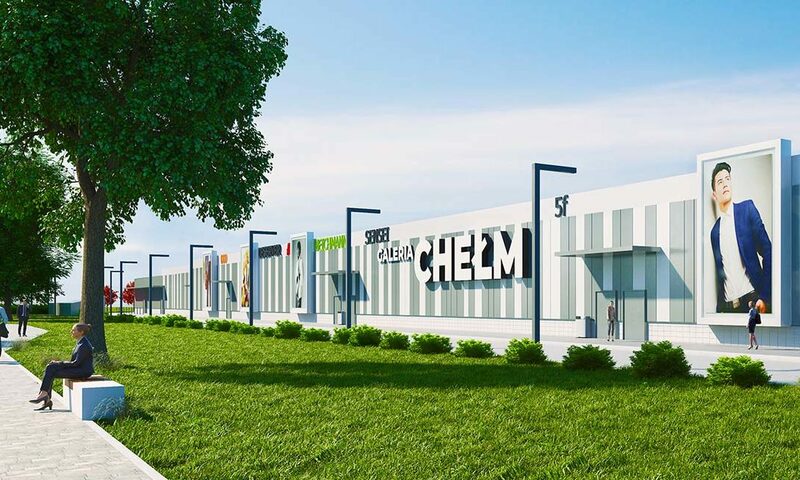 The opening of Galeria Chełm is planned for the first quarter of 2020. Galeria Chełm, a joint venture project of Acteeum and Equilis, in which the last vacant spaces are being secured by the tenants, has enriched its offer with the Diverse store – one of the leading clothing brands in Poland. Finalizing the lease agreement for the premises with an area of 228 sqm, Diverse has sealed the opening of his newest showroom in Chełm. The Diverse presence in Galeria Chełm will enable customers to take advantage of the rich fashion offer at affordable prices and convenient shopping opportunities in a modern and friendly environment. – According to the adopted brand strategy, Diverse opens its stores in emerging shopping centers. In Chełm, we have two operating stores, however, due to the format and location of the new facility, we decided to move to Galeria Chełm. We are convinced that the comprehensive tenant mix of the shopping center will attract customers who will find an offer in our showroom meeting their fashion expectations – explains Alicja Dąbek, Leasing Manager Diverse. Diverse is one of the leading clothing brands in Poland. Established in 1993 and since then, successively meets the original requirements of active people who value comfort, quality and style. The team of Diverse professionals creates a strong foundation of the company, which consists of many creative ideas and solid solutions. Thanks to the professional work of Diverese designers, the styles and colors of the collections resonate with the latest fashion trends on the world market. Diverse is present in over 300 stores throughout Poland. Diverse brand stores operate on the basis of the highest sales standards guaranteeing effective operation and giving the outlets a unique character. Diverse is gradually expanding its offer to new markets. Among the tenants that will open their stores in Galeria Chełm are already such known brands as Lidl, CCC, SMYK, Rossmann, RTV Euro AGD, Martes Sport, Reserved, Sinsay, House, Cropp, home&you, Swiss, Ziaja or Księgarnie Świat Książki. The commercialization level had already, a year before the grand opening, exceeded 75%.